iBolt Tripod Mini Pro Universal Stand with Mini Pro/ Gopro Adapter and Sd Card Reader & Bluetooth Selfie Remote. Take photos from up to 30 feet away. Fits all Smartphones incl. iPhone 4/5/6/6+ and Samsung Galaxy S4, S5, Note 4. Works with most Cases and works with all GoPros and digital cameras. 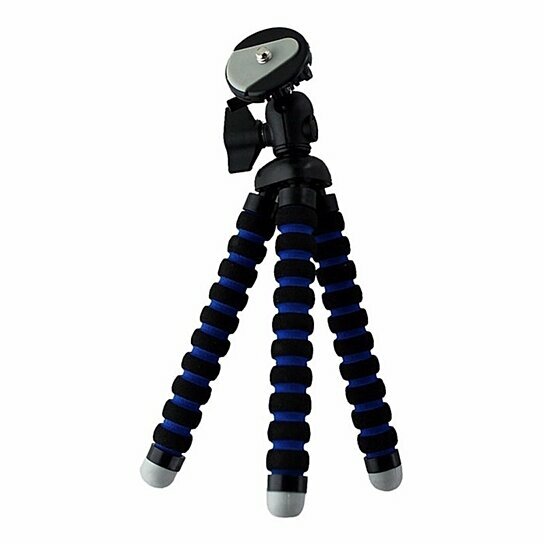 Flexible tripod legs allow you to stand, bend, or wrap the tripod.